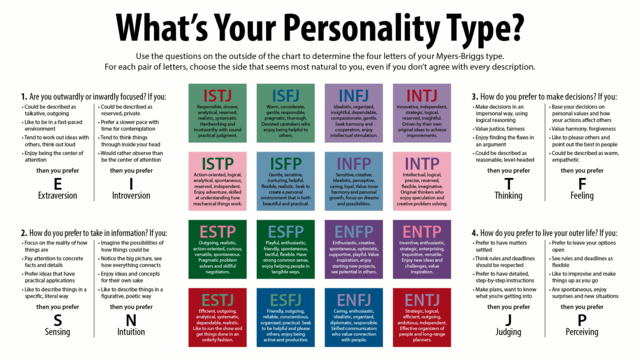 INFP (Introversion, Intuition, Feeling, Perception) and INFJ (Introversion, Intuition, Feeling, Judging) are abbreviations used in the Myers-Briggs Type Indicator (MBTI) which is a popular tool in assessing personality. These two personality types are often mistaken for each other due to several similarities such as being introverted, intuitive, and a feeler. Hence, people with these types tend to be quiet and reserved, abstract thinkers, and give importance to personal considerations. However, they have crucial distinctions which are expounded in the following discussions. According to MBTI, INFPs are likely to divert their energy towards intense feelings and morals which govern their inner selves. This makes them seek a life filled with purpose and demonstrate loyalty to trusted individuals and principles. They are keen at identifying possible opportunities of growth as this makes their existence more meaningful. Also, they are often curious and very much willing to better understand various personalities and are often agreeable. However, they may become less accepting when their values are threatened. Some notable INFPs include Princess Diana, Kurt Cobain, Audrey Hepburn, Edgar Allan Poe, and Vincent van Gogh. INFJs are interpreted to be conscientious and aim to find much meaning in their relationships, activities, and thoughts. This makes them interested in knowing more about themselves as well as others. They can often develop clear visions to improve situations which they are determined to actualize. Moreover, they display optimism and creativity by seeing opportunities and challenges in the midst of problems. Most of them reflect their creativity with their gift of language and enjoy reading and writing. Being introverts, they prefer to work behind the scenes and have individual social interactions than grouped ones. However, they can still adapt to different social situations due to their ability to understand diverse personalities and their interest in making people’s lives better. With their apparent congeniality and genuine care for others, they are generally well-liked and considered trust-worthy. Other characteristics associated with INFJs are sensitivity, determination, perfectionism, and privacy. Some famous people with this type are Nicole Kidman, Nelson Mandela, Oprah Winfrey, Adam Sandler, and Johann Wolfgang von Goethe. In order, the cognitive functions of INFPs are introverted feeling, extroverted intuition, introverted sensing, and extroverted thinking. On the other hand, those of INFJ are introverted intuition, extroverted feeling, introverted thinking, and extroverted sensing. Thus, INFJs are more analytical because they “extrovertly” exercise their judgments. INFPs are then more artistic since they value exploration and flexibility which are usual traits of musicians, actors, painters, and the like. INFJs show external control while INFPs are more focused on internal control. Judgers are usually seen to act “cool” since they are largely organized, punctual, and meticulous planners. However, this is only a façade since their internal words are actually highly perceptive, flexible, and explorative. On the contrary, perceivers are more internally organized but may appear less structured as they are more willing to be spontaneous and give less priority on schedules, neatness, and deadlines. 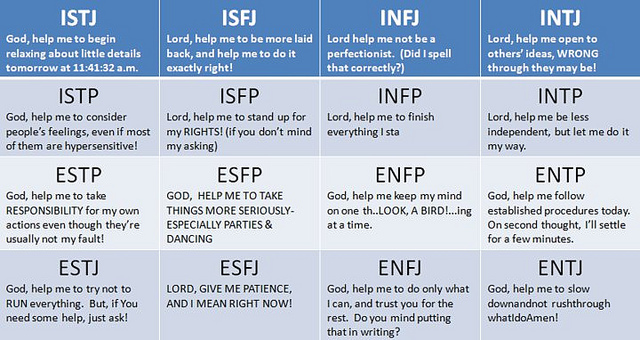 INFJs seem more assertive since their judging functions are extrovert. They often make bold and authoritative statements. However, INFPs are less confident and may make less convincing statements since they extrovert a perceiving function. INFPs usually show interest in exploring the human condition since they like to read as well as write about diverse emotions and predicaments. Some of the notable personalities such as Albert Camus, a French author, and journalist, and Virginia Woolf, an English writer, are said to be INFPs. As for INFJs, they are more interested in arriving at insights since they are more likely to pay attention to patterns and achieve deductions. The German philosophers, Friedrich Nietzsche and Arthur Schopenhauer are said to have this personality type. INFJs tend to be more sensitive regarding other people’s feelings since they have an extroverted feeling function which makes them more empathetic and ideal guidance counselors or therapists. On the other hand, INFPs are more sensitive of their own emotions due to their introverted feeling function. This trait is advantageous for poets, painters, writers, and other kinds of artists. Since INFJs are more empathetic, they may also be too sensitive of other’s feelings that they forget their own. Since they may prioritize others’ plights more often, they tend to people-please and let their feelings get mixed up with those around them. As for INFPs, they are known to be more in tune with what they are feeling and listen to their guts instead of prioritizing others’ emotions. INFPs often utilize emotions to persuade others since they are better at understanding how feelings can influence oneself while INFJs persuade by giving alternatives or different perspectives as they are more analytical. INFP and INFJ are abbreviations used in the MBTI which is a popular tool in assessing personality. INFPs are likely to divert their energy towards intense feelings and morals which govern their inner selves. INFJs are interpreted to be conscientious and aim to find much meaning in their relationships, activities, and thoughts. In order, the cognitive functions of INFPs are introverted feeling, extroverted intuition, introverted sensing, and extroverted thinking while those of INFJ are introverted intuition, extroverted feeling, introverted thinking, and extroverted sensing. INFPs are analytic thinkers while INFJs are artistic thinkers. INFP is characterized by internal control while INFJ is characterized by external control. INFJs are more assertive than INFPs. INFPs explore human condition while INFPs desire to have insights. INFPs are more sensitive regarding their own feelings while INFJs are more sensitive of others’ feelings. As compared to INFPs, INFJs tend to please others more. INFPs persuade through emotions while INFJs persuade by giving alternatives. gene balinggan. 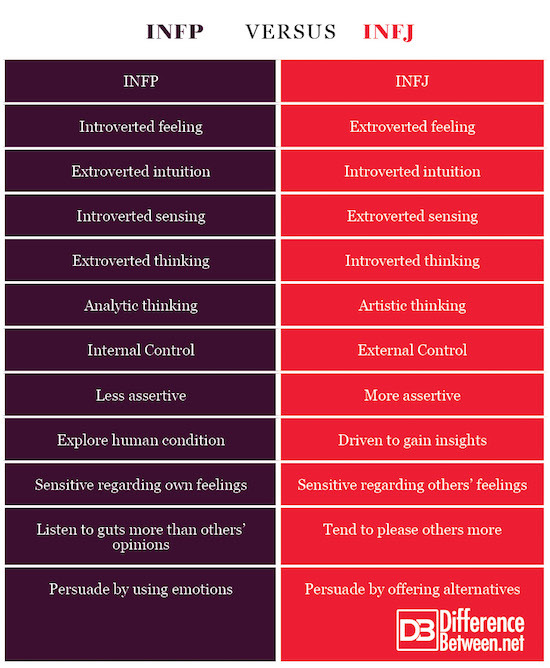 "Difference Between INFP and INFJ." DifferenceBetween.net. July 23, 2018 < http://www.differencebetween.net/science/psychology/difference-between-infp-and-infj/ >. Kiersey, David and Bates, Marilyn. Please Understand Me: Character and Temperament Types. Carlsbad, CA: Prometheus Nemesis Book Company, 1984. Print. Myers, Isabel Briggs, Kirby, Linda, and Myers, Katharine. Introduction to Type: A Guide to Understanding Your Results on the Myers-Briggs Type Indicator. Oxford, UK: Oxford Psychologists Press, 2000. Print. Quenk, Naomi. Essentials of Myers-Briggs Type Indicator Assessment. New York, NY: Wiley, 2009. Print.